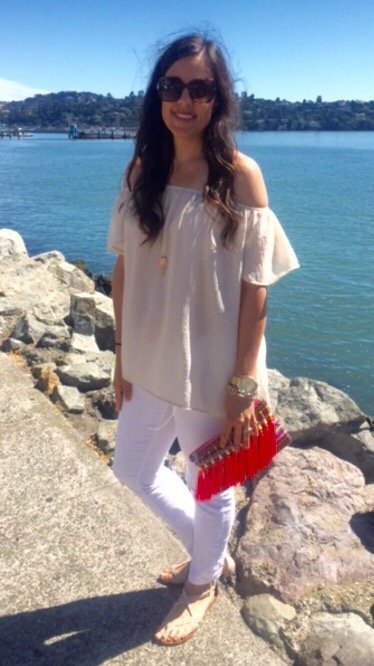 I kind of have a love-hate relationship with the off-the-shoulder tops. I love how cute and summery they are, but I secretly hate how you have to keep pulling them down, you can’t lift your arms without it riding up, etc… However, with that said I still own several because they are just so cute and flirty! 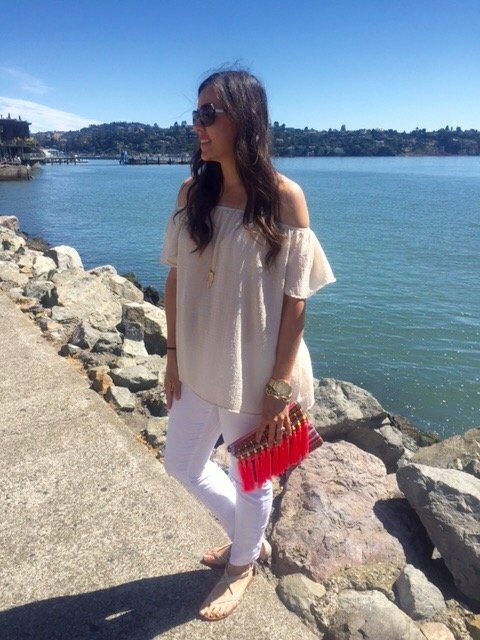 I picked this one up about a month ago at a little boutique in Sausalito, it is so perfect for out crazy hot days because it’s so lightweight…plus you can never go wrong with a neutral colored top.